Acme School of Driving » F.A.Q. Will ACME School Of Driving pick me up? 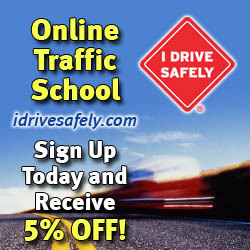 Once a lesson or test is scheduled an instructor will pick you up at home and drop you off at home or at the Office. Students will only be picked-up and dropped off at the address on their file, unless an after school appointment is scheduled. Our coverage areas are, California City, Tehachapi, Bear Valley Springs, Stallion Springs and Mojave. Pass a traffic laws and sign test. There are 46 questions on the test. A passing score is at least 39 correct answers. You have three chances to pass the test. If you fail, you must wait 7 days before taking it again. Note: To allow you sufficient time for testing, DMV will not be administering written or audio exams after 4:30 p.m. Already hold a provisional DL issued on or after January 1, 2005. Transport passengers under 20 years of age at any time, for the first twelve months. Drive between 11 pm and 5 am for the first twelve months. Persons under 18 may not be employed to drive a motor vehicle. When you turn 18 years of age, the provisional part of your license ends. You may continue to drive as an adult using your photo license, which will expire on your 5th birthday after the date you applied. When reasonable transportation is not available and it is necessary for you to drive, the law grants the following exceptions for minors to drive between 11 pm and 5 am or to transport an immediate family member unaccompanied and unsupervised. The law requires that you must carry a note explaining why you must drive and when the necessity will end. The note must be signed by your physician and contain a diagnosis and probable date when recovery will end your need to drive. The note must be signed by your school principal, dean, or his or her designee and include a reason for the school or school–authorized activity and the date when the activity will end. The note must be signed by your employer and verify employment and the date your employment will end. The note must be signed by your parent or legal guardian and include the reason and date the necessity will end. No documentation is needed for this exemption, however you must have already declared yourself emancipated by completing a DMV form and by providing Proof of Financial Responsibility (SR 1P) in lieu of your guarantors’ signatures when you applied for your instruction permit. Evidence of financial responsibility must be carried at all times in the vehicle. Most Californians maintain financial responsibility through insurance companies, which provide the policy holder with an identification card to be used as evidence of coverage. The card must state the insurance company’s name and address, the period of coverage, and policy number.